Rooms contain large pump-action packs with liquid soap, shampoo and maybe conditioner, but for everything else it is up to the guest to choose what they need from the kiosk when they check in. Want a razor and shaving cream? Help yourself. Need some hair gel? There you go. Toothpicks? Sure. The same with coffee, tea and sugar. 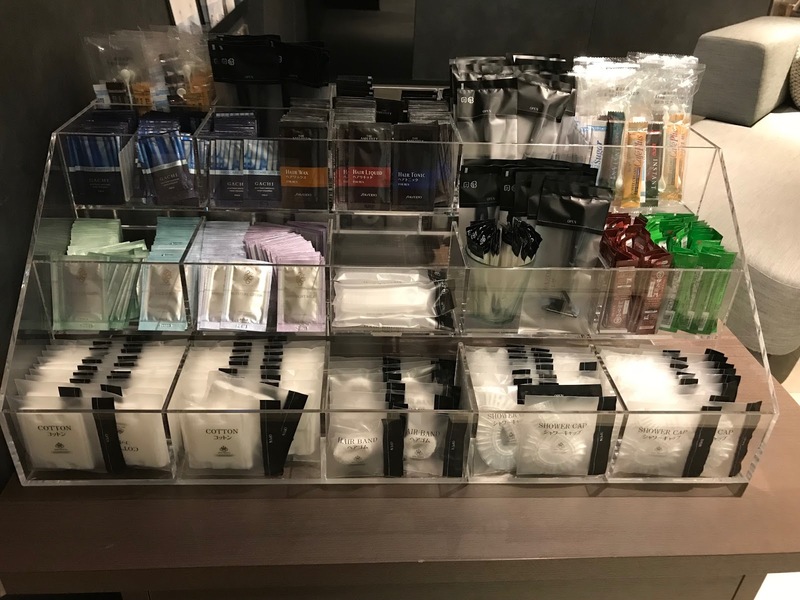 The hair care products and body lotions are no longer Molson Brown and come in single-use sachets, aimed at reducing waste, although you can still take as many as you like, should you want a souvenir or two. Hotels in the Solare Hotels and Resorts Group – with properties across Japan – and the new Vischio by Granvia business chain (owned by Japan Railways West) both offer Smart Select carts in their lobbies that enable guests to select the exact amenities they need/want during their stay. Every day millions of bars of soap and bottles of shampoo, conditioner, body wash and moisturisers are opened in hotels around the world. On average, each bar of soap and each bottle of liquid becomes waste when only around 15% is actually used, environmental groups say. These partially-used toiletries are then scooped up by the cleaning staff, thrown into bin bags and sent off to landfill sites. Maybe it is time to consider if you consider sewing kits, shower caps or shoe shine packs are essential. Would you feel deprived without them? Or would you be happy just to take one, or many, goodies from the lobby cart when you actually need them? For me, free internet and bottled water are the hotel essentials. Flashy toiletries less so. # The writer was a guest of the Vischio Hotel by Granvia Osaka. Image: The amenities cart in the lobby at the Vischio Hotel by Granvia, Osaka. Pic: Winsor Dobbin.